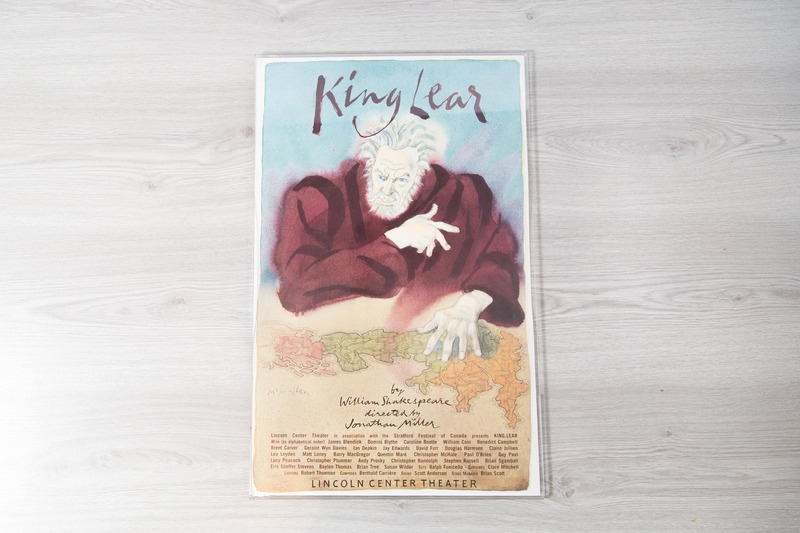 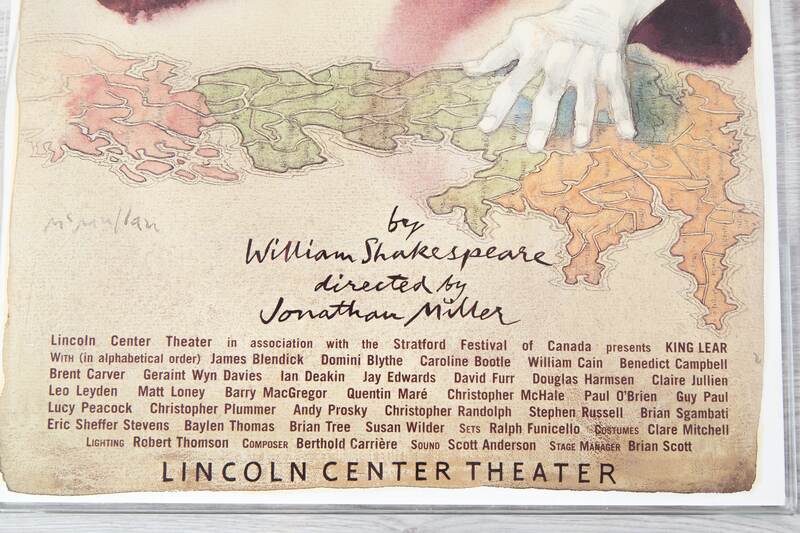 This is a King Lear Poster in Plexiglass Hanging from the Lincoln Center Theater Production adopted from William Shakespeare and Directed by Jonathan Miller. 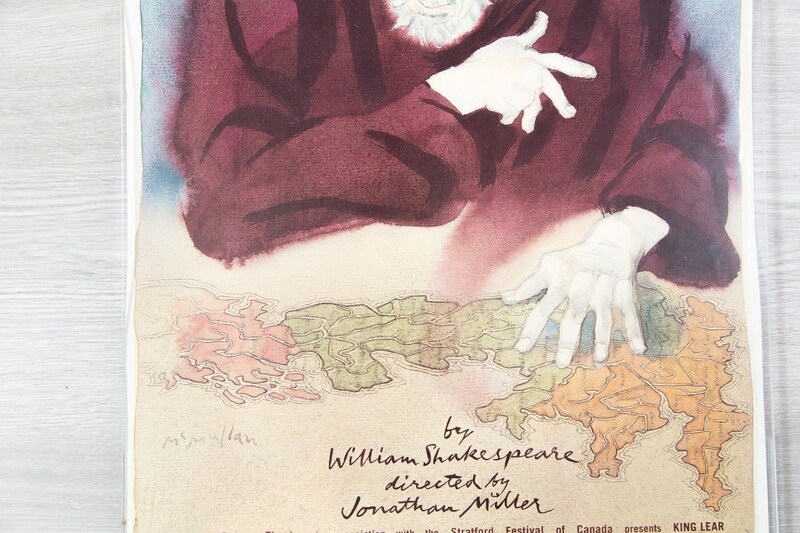 One of William Shakespeare's towering achievements, KING LEAR is a work of exceptional mastery, a stark tale that is both intimate and vast. 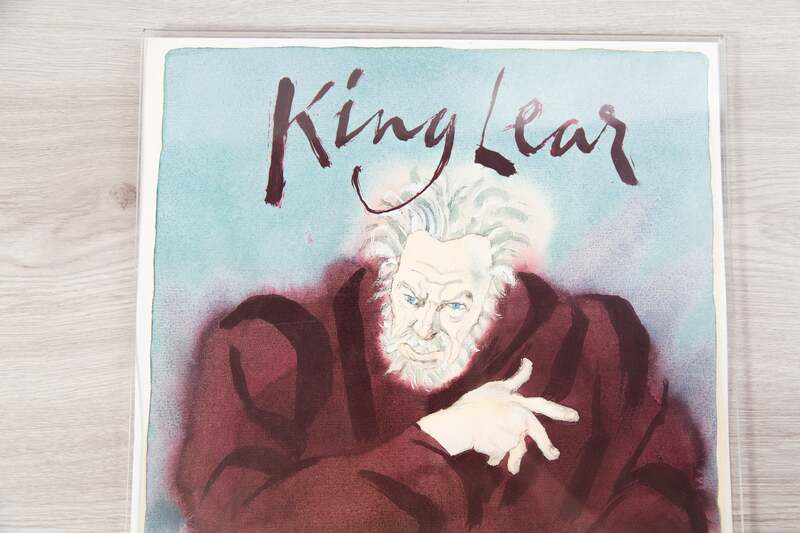 An old and vain king unwisely divides his kingdom between his two fawning older daughters and banishes his third daughter, who truly loves him but speaks more modestly.